Successful and fabulous gardens are rarely about one plant, its about combinations and groups of colour in the same way we put an outfit together. 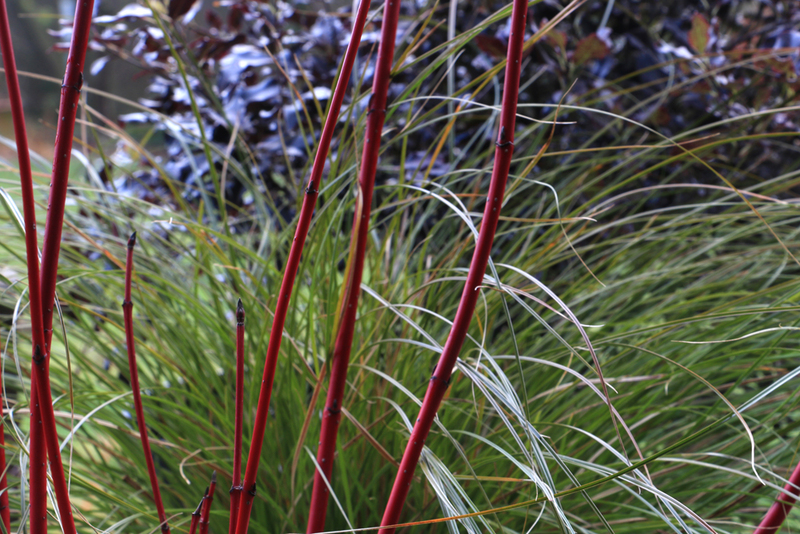 My favourite winter garden combination and one I am planting myself in my own garden is is this striking collection of colour and texture, tall punctuating bright stems and soft textures against a Strong background. Its quiet harmonious despite being bright. 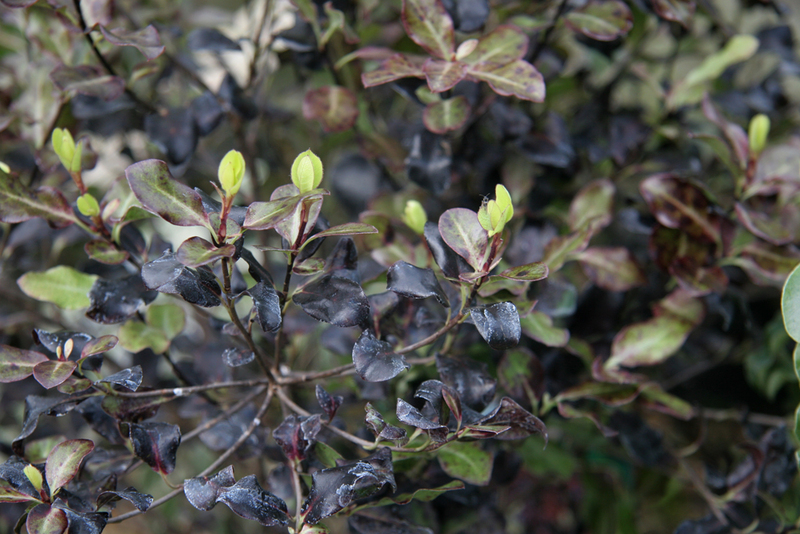 Pittosporum tenuifolium 'Tom Thumb', the soft rusty Carex Testacea(orange New Zealand sedge) and the hot red stems of a well pruned Cornus alba 'Sibirica'. 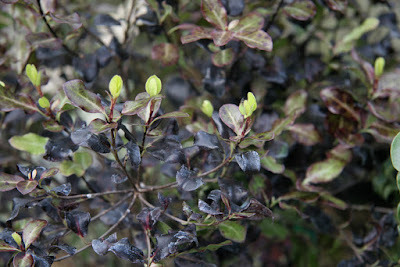 This is currently one of my favourite winter shrubs this winter. 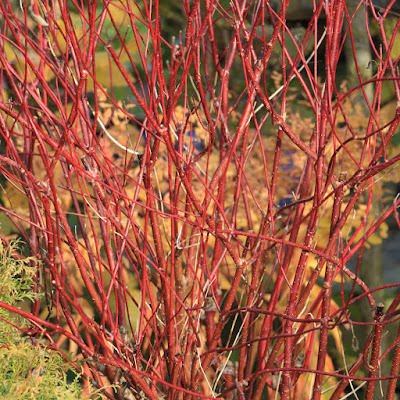 The dark foliage simply creates the best canvas for bright red and orange and acid contrasts. A well pruned cornus in all stem shades bring an amazing flash of flaming contrast in winter and thery must be kept well pruned or they get too big and we loose out on colour.. 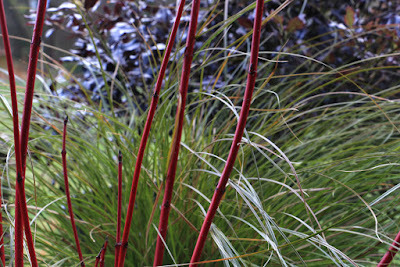 Many grasses add the frothy texture that needed to give birth to a great border I am a massive fan of stipa grasses in mixed herbaceous borders but I particularly love the rusty Carex testacea and its heavenly warm tones.